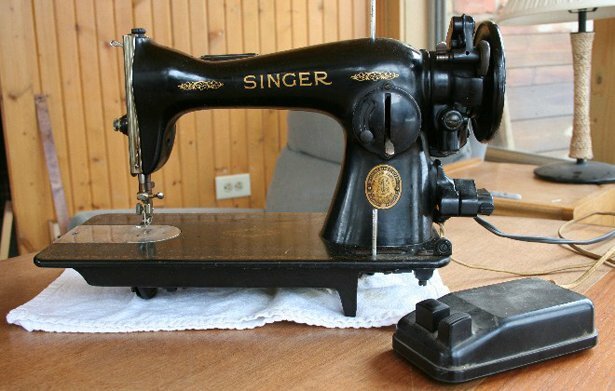 My granny was a stitcher; whenever I went to her house she would have scraps of material lying around her old-fashioned sewing machine. I would take those scraps and make clothes for my dolls. So I was interested in fashion and clothes as a very young child. I loved the textures of the fabrics, the colours and the possibilities that would come about by having access to the materials. I also thought that my granny was very stylish, she had lovely broaches and jewellery, she always looked good and dressed well. My Aunty made ballroom dresses because at that time dancing, going to out to ballrooms, the Orpheous and the Plaza, was very popular. My Mum knew Ruby Murray, who sang in the Dance Halls; her family lived on the Donegal Road. So early on I had relatives around me who were working on clothes and they themselves were fashionable and that affected me. I loved the fashions of the 50’s and 60’s, pencil skirts, blouses and high heeled winkle picker shoes. 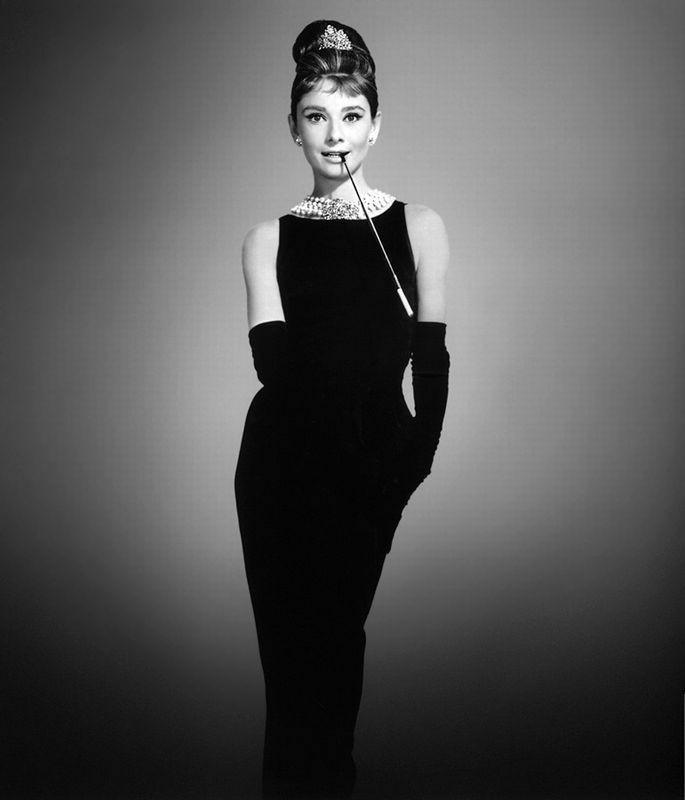 I always thought that people dressed with a lot of class then; I loved Marylyn Monroe and Audrey Hepburn’s style. Did you study fashion or design at school? Art and PE were my favourite subjects at school. I was drawn to Art and I did have one teacher who I loved, who always encouraged me. When I was growing up I really didn’t get the opportunity to go on to further I went to Everton, which was a Protestant school in the Ardoyne area. There was a lot of sectarianism around at that time, so getting to and from school could be very difficult. Our area was very poor as well, so there weren’t a lot of opportunities and not a lot of expectation that you could go onto further education. How did you continue your interest in fashion? I met a woman in town and she asked me to do a little bit of modelling, so I was doing that for a little while. I modelled fur coats and knitwear at Trade Fairs. I trained in visual merchandising and selling fashion. Beyond that, I used to buy remnants and make my own clothes and things like curtains, and from there alterations. That lead to people asking me to make things for them; so i made formal and bridal dresses, curtains, dance costumes; anything really. My mum and dad were looking to start a business and eventually we set up a clothes shop on the Woodvale Road. I would create clothes and do alterations and that shop did quite well because during the troubles not many people went into the city centre. What else did you do with regards working with fashion? I was asked if I could help with some charity fashion shows for a local church, St Andrews. We would provide clothes from our shop to the church and I organised a fashion show for them. We also organised shows in a local Nursery School and for Action Cancer. Because of my interest in clothes and fashion and through working in shops and our boutique other things just tended to happen. You decided to study at Millfield? I went to Millfield Tech and studied patterns and design. It was a City and Guilds course. As my children were getting older I decided I needed to increase my skills. People were tending to go into the city centre a lot more as the Troubles wound down so the shop couldn’t keep going the way it was. Through attending the tech, I met a woman called Sunatra who was participating in a workshop at New Belfast Community Arts Initiative, as it was then, now Community Arts Partnership. She asked me to attend a TRASH fashion workshop, so I attended those workshops with a multicultural women’s group. I was meeting new people, and people from backgrounds that weren’t familiar to me and that was really wonderful. When that course finished the Project Co-Ordinator Julianne then asked me to put in a CV so that I could be considered for a facilitator’s position. You eventually became the TRASH Fashion Project Co-Ordinator? I worked as a facilitator on TRASH fashion for 4 years, and the Project Co-ordinator’s job came up. I wasn’t going to apply for it because I assumed I would be competing with university graduates and people from Art College. I thought that you wouldn’t get a job like that unless you had third level education. I also wasn’t very confident. I remember looking at the application form and thought how am I going to fill this in. I worked away at it and gave the completed application to my dad who left it in for me. You were selected for an interview? Yes. I was so nervous and I arrived at the CAP office and looked at people with their portfolio’s and thought one of them would get the job. I had to do a PowerPoint presentation, about my work, my daughter helped set up the PowerPoint, and after the interview I was offered the job. It was a complete surprise. That was almost 10 years ago. I expect there have been substantial changes since you started the job? The orientation has changed a little. It used to be very much that we would concentrate on the environmental aspects of the project and educate people about being environmentally friendly. Recycling and up cycling is still a large part of the project. but there is an added element of wellbeing, confidence building and transferring of skills. Of course our participants are still making and customising clothes, using environmentally friendly materials and recycling. But encouraging participants to explore and get creative; that is vital. You always end the project with a big fashion show. How did that come about? When I first worked as a facilitator we would do small shows with the individual groups in their centres. Then I spoke to Conor Shields, Cap’s CEO, about bringing two groups together to organise a show. As I thought this was a good opportunity for our groups to showcase their work and network with others. Adam Turkington was working at the Waterfront and was so helpful. He offered us a space to hold our fashion show in, the Glass Bar 2. The show was a success and soon we outgrew the area. Adam offered us a larger studio. I thought then that we could take the opportunity to make the show much bigger and even more inclusive with all the participating groups getting involved. Over the years the Show has grown ,with fantastic venues, such as the Belfast City Hall, Kings Hall, The Waterfront hall, Ulster Museum and St Anne’s Cathedral all playing host to our show finale. It’s a fairly sizeable event now? Our participants are from all over Northern Ireland. We are very proud that the project is also intercultural, intergenerational and has people of all abilities participating. When we come to the fashion show, the event has all the trappings of a real fashion show. Yes, it’s a highlight of the project. Everyone gets excited. It has grown into a full day’s event with everyone in CAP helping out on the day. The artists, group leaders and participants all get the chance to showcase their work. 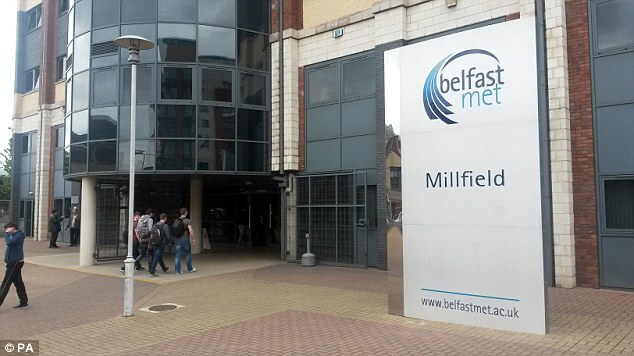 We also have been very fortunate to build up a relationship with the Belfast Mets Theatrical makeup and fashion departments The students come along on the day, providing hair and makeup and everyone loves the pampering on the day. 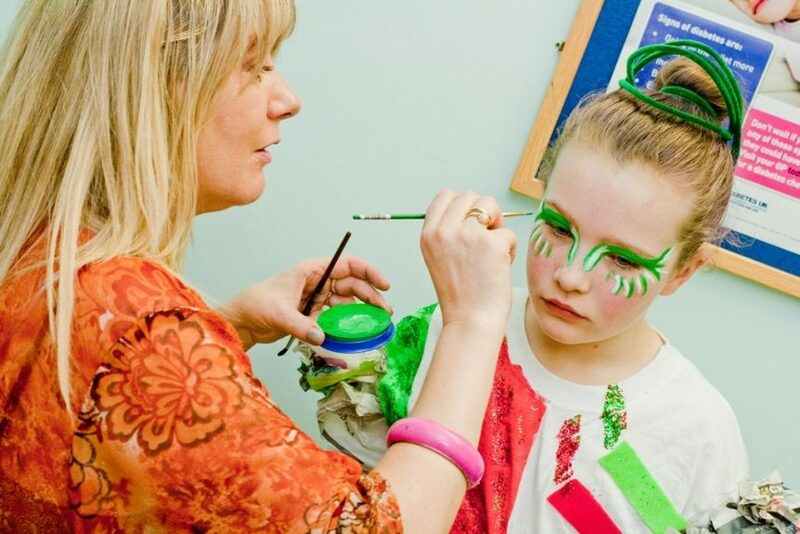 Our volunteers also make sure everyone’s outfits are prepped and ready to go, then they get the chance to walk the catwalk. Then it’s lights camera action. The event is filmed and we have our photographers on hand. In the last few years we have given local performers the opportunity to participate in show now. The event is free. If you attend one of the TRASH Fashion Fashion Shows, you can see first-hand just how much it means to the participants.